18/10/18 – Vinnie has found a home! Just how stunning is Vinnie? 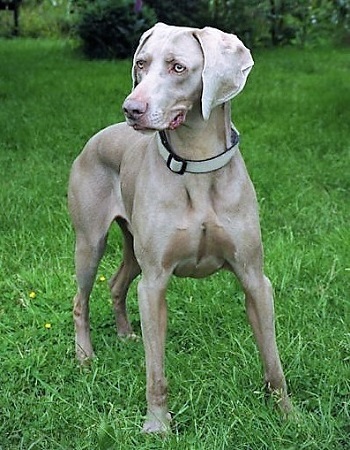 This handsome gent is an 8 year old Weimaraner who is looking for an older family/adult home with the help of Foal Farm Animal Rescue in Biggin Hill, Kent. Vinnie is a lovely lad who is fantastic with people and is very affectionate. He needs a calm and understanding owner who can walk him in a low dog-populated area or have garden-only exercise with some training stimulation. Vinnie is looking for someone wanting a large companion in an older home. He can live with older children, but he needs a strictly pet-free home and will need to be muzzled on walks as he is dog-aggressive. Vinnie is in good health with no known medical needs and has been neutered. Please mention that you saw Vinnie on the Oldies Club website.